How did you hear about Slow Money NC? : Through being involved in small-scale agriculture for several years. My name is Andrew Legge, and I’m the farm manager at Terra Sacra in Hillsborough. Terra Sacra is the sister farm to Copa, a Cuban-inspired restaurant that just opened its doors in Durham. The owners, Roberto Copa Matos and Elizabeth Turnbull, previously owned and operated the much-loved Old Havana Sandwich Shop in Durham. Roberto was born and raised in Cuba, and upon discovery of an 1800’s Cuban recipe book a couple of years ago, they began experimenting with a dinner series featuring small plates using recipes from that book. In accordance with the era it was formulated, the recipes consist of food that was local and seasonal; however, due to Havana’s status as a world port, the food also had global influence – Middle Eastern, African, Western European, etc. The success of that series led Roberto and Elizabeth to conjure the idea of Copa, to serve the Old Havana fare while also serving dinner featuring these recipes and other inspirations. In addition, Roberto and Elizabeth have a deep appreciation for the sourcing of their food, such that Roberto included the phrase “mise en place begins in the soil” in Copa’s mission statement. As a result, Roberto and Elizabeth created Terra Sacra, the farm located on their residential property in Hillsborough, and hired me to begin the process of cultivating that land. Starting from an open field beginning to be colonized by oak saplings in March of this year, I have created 10,000 sq ft of permanent raised beds using a BCS walk-behind tractor (after spreading 2 full dump truck loads of compost and 700 lbs of lime), constructed a 21×24 greenhouse for seedling propagation, installed fencing, constructed a small wash-station, and made other general improvements to the property. The plan is to intensively cultivate this space year-round, using succession planting to maximize production while employing no-till management strategies to maintain the soil structure and biodiversity while building fertility through the addition of compost, cover-cropping, and mulching. We have also planted fruit and nut trees in an incipient orchard and plan to use our pasture, woodland, and marginal areas to rotate animals who graze and root through the undesirable plants (blackberry brambles, thistle, woody vines, etc) to establish healthier and more viable pasture land. Other long-term projects for the property include mushroom cultivation, perennial cropping, flower and medicinal plant production. Please briefly describe your commitment to sustainable food systems in North Carolina. : From the start, Roberto and Elizabeth have sourced the meat for their restaurant (Old Havana included) from local farms, specifically Parker Family Farm. 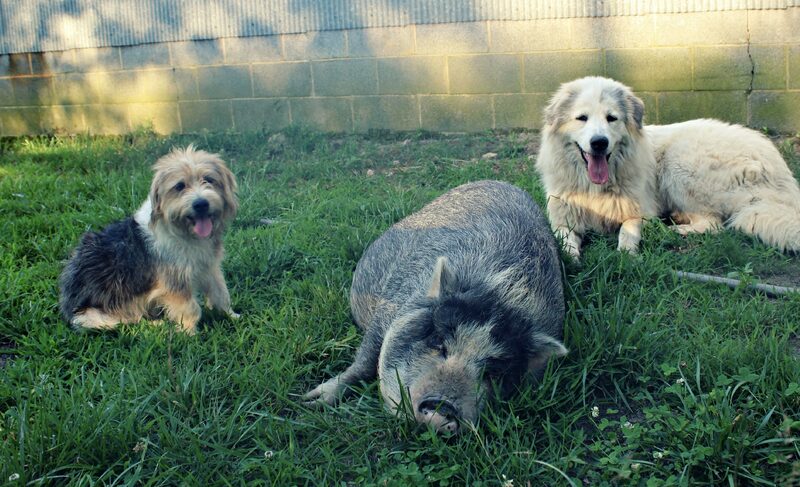 They have also embarked on a partnership with Bull City Farm to raise Mangalitsa pigs, a heritage breed hailing from Eastern Europe known for its fat and meat quality but requiring a longer growth period than more domesticated breeds, thereby making it less economical to produce. While the farm gets up and running, Roberto and Elizabeth purchase fruits and vegetables from local sources such as Eastern Carolina Organics and farmers at the Durham Farmers Market. The bigger picture is to bring greater food awareness to patrons of Copa by highlighting how the farm functions as a system and how important soil health is to the production of the food served in the restaurant. For instance, I plan to grow different varieties of southern peas this summer as a cover crop to build soil but also plan to harvest the peas for fresh and dry use to show the intentionality with which we approach growing food and improving the soil for subsequent crops. What will your sales be? What do you anticipate your profits/your margins will look like? How will you make the money to pay this loan back? : The restaurant opened for lunch and dinner and weekend brunch in March and is currently fully-operational. The farm will provide as much produce as possible for the restaurant, and the revenue from the restaurant will help support production on the farm as well as repay the loan. Have you borrowed money before? How much did you borrow? From where? How long was the term? Is there a balance still due on that loan? : Roberto and Elizabeth have used leverage to purchase the property in Hillsborough (where they live) and to purchase the space to open Copa. They also use credit for operational purchases. They will have to provide the details of those loans, and we can absolutely set up a time to present those details. Do you have people who would vouch for your credit worthiness? Who are they? : Roberto and Elizabeth can provide references from banks, credit companies, etc. Tell us about your business background. Have you been in business before? : Old Havana Sandwich shop operated in Durham very successfully for 5 years before Roberto and Elizabeth decided to open Copa. As a farmer, I have been working on farms for the past five or six years in various capacities; apprentice, farm worker, and field manager. I operated my own small market garden on the Outer Banks for nearly two years before relocating to Durham. Are there other lenders involved in your project or business? : The farm itself currently has no lenders (besides the mortgage on the house). What is your timeline for this project? Would you like it to start in a month? 6 months? A year? : We have already started and made a lot of progress. The money I am currently seeking is to fund necessary infrastructure construction (irrigation, walk-in cooler, production greenhouse) and operational costs (compost, cover-crop seed, ground cover, row cover, vegetable seed).